Everyone hates moving. Why? Because moving is a pain. 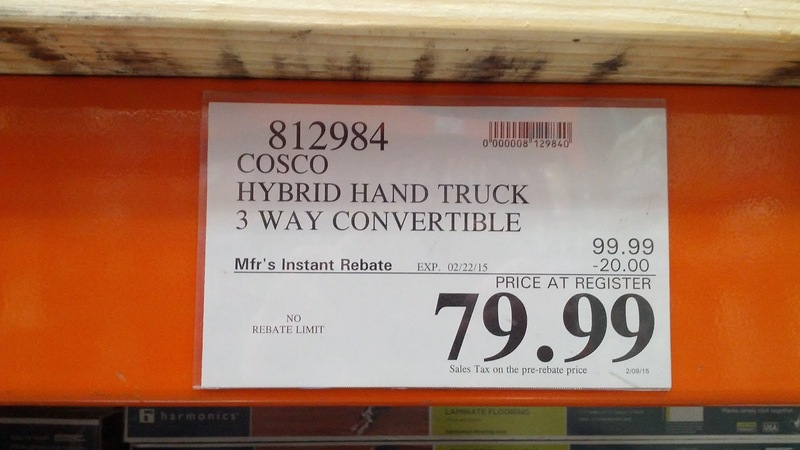 You could minimize the pain with the Cosco Hybrid Hand Truck 3 Way Convertible. 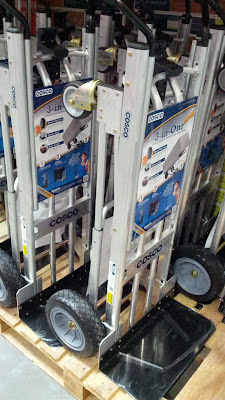 The Cosco Hybrid Hand Truck 3 Way Convertible allows you to easily move your possessions in an easy matter. 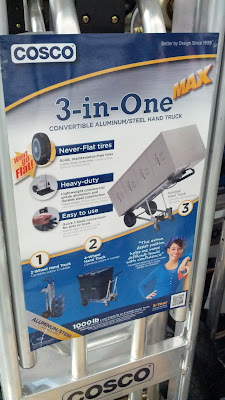 You can convert the hand truck into 3 different setups depending on your load: dolly, cart, and assisted cart. Switching it from one mode to another is also quite easy too. It's probably the most practical and versatile thing you can get since the hand truck is light and user-friendly. You can use it to move just about anything: stacks of boxes if your moving, bags of dirt to the backyard, old computer towers for recycling, etc. Save yourself the difficulty in moving heavy objects, and your back will thank you for it. The Cosco 3 Way Convertible Hybrid Hand Truck can be configured into 3 different setups. 3-in-One convertible aluminum/steel hand truck is (1) a 2-wheel hand truck, (2) 4-wheel hand truck, and (3) assisted hand truck. the extra assist position helps you move difficult loads with confidence. Hi @Anonymous, if you live near a Costco, it's better to buy the Cosco hand truck at the store so you don't have to pay for shipping and handling costs. 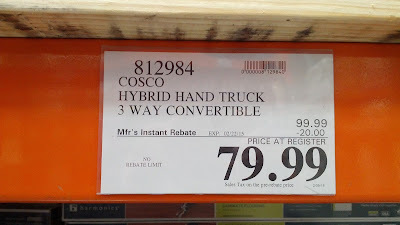 If there's no Costco near your, you can probably find it online for purchase.